There are many different types of Chiropractic, with varying approaches and philosophies. Many people rule out Chiropractic entirely and think its ‘not for them’, because of a negative past experience or a lack of results. But this doesn’t mean that it can’t work for you – it may just mean that you haven’t found the clinic or Chiropractor best suited to your specific needs. There are many Chiropractors out there who recommend adjustments as a ‘fix’ for pain or injuries. They may only request to see patients once or twice to address their specific problems, without recommending any on-going care. Whilst there is absolutely nothing wrong with this approach, it’s not quite how we work at Moose Hall. We believe in the power of Chiropractic not just as a cure, but for pain and injury prevention too. We see our clients regularly in order to address any pain or injuries they are experiencing as well as helping them reach and maintain optimal health. And we practise what we preach! Each of our Chiropractors receives adjustments on a weekly basis, and we encourage our families and friends to come and see us regularly too! We view Chiropractic simply as a part of our healthy lifestyles, alongside regular exercise and eating well. The spinal cord is a key pathway for communication between the brain and all parts of the body. When there is an injury to the spinal cord or the spine is mis-aligned, the information being passed from the brain to the body may be disrupted. Chiropractic adjustments focus on restoring alignment of the spine - and we believe that when everything is aligned, the brain and body can communicate effectively and work as they are supposed to. If you’re interested in finding out more about our approach to Chiropractic and how we might be able to help you, get in touch! Sam developed her passion for chiropractic from a personal experience with treatment. At the age of 13 she suffered from debilitating migraines. At first the only answer was a lifetime of medication but then her parents discovered chiropractic and her migraines were relieved through treatment on her neck. Chiropractic then became a normal part of life for Sam and the rest of her family from her younger brother to her grandparents all seeking help for a range of conditions and general health. Throughout her career as a chiropractor Sam has helped people of all ages from new born babies to her oldest patient at 97. She loves to see people become healthier through the help of chiropractic and is always happy to discuss anyone’s individual needs. Matt has always had a passion for sports and being active. Naturally he wanted to get the best out of his body and he used chiropractic to achieve this when on the rugby field. As a 6 year old his dad took him and his brother to their local rugby club and that was it, he was hooked. Since then his dedication led him to play international rugby and he now plays locally in Bristol. Matt is enthusiastic about achieving a healthy balanced lifestyle, through; Chiropractic, Exercise, Nutrition and Hydration to achieve a healthier happier community. Combining his knowledge and passion for sports with his clinical and chiropractic expertise, Matt’s aim is to provide an environment in which he can reach all your personal health goals. Whether these are related to an acute injury, injury prevention, rehabilitation or getting the most out of your body. He is always happy to discuss all parts of your health and any problems or concerns you may have. With a degree (Hons.) in Sports Science, a keen runner and footballer who understands the frustrations of niggles or injuries picked up in training, Ben was keen to learn about the body and how to get the best performance through injury prevention. As a Sports & Remedial Massage Therapist, as well as a Personal Trainer specialising in running-specific Strength & Conditioning, Ben joins us with experience in treating and training athletes from amateur, to elite level. 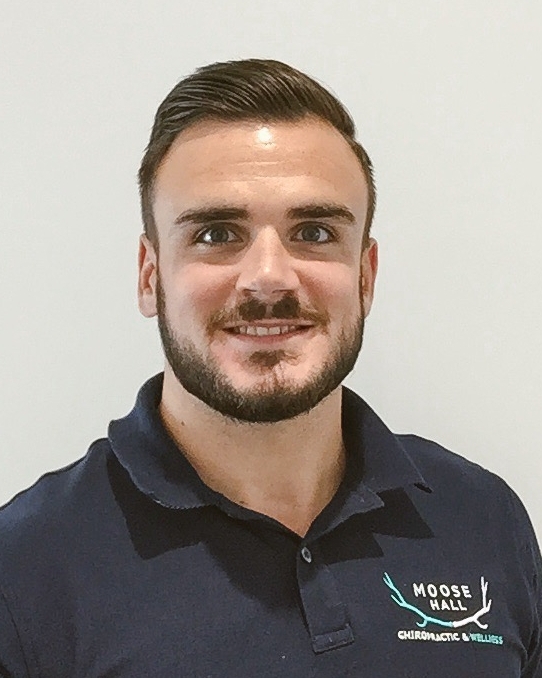 Having worked as a Sports Massage therapist at Bristol Rovers FC and now tutoring at The Massage Training School, Ben has extensive knowledge in treating patients with a wide range of conditions and injuries, including pre- and post-operative surgery. Ben is keen to get people in moving correctly, as well as helping educate people in being able to prevent issues re-occurring, through pro-active rehabilitative exercise. Annabel is a Soft Tissue Therapist (Clinical Sports and Remedial Massage) with experience and training treating wide variety of sporting and non-sporting muscular skeletal imbalances, ranging from acute and chronic injuries, sporting and occupational imbalances to clients suffering with headaches, neck and shoulder problems, arthritic conditions and any other general aches and pains. Annabel thrives on challenging herself and has competed in Triathlons, Half Marathons, 10km Races, Tough Mudder and Survival of the Fittest. She brings her extensive experiences to her treatments, understanding and being able to support her client to achieve their goals. During her time as a NHS Physiotherapy Assistant she found that she became increasingly interested in manual therapy as she could see the benefits of being able to provide very hands on treatment along with rehabilitation exercises. This lead her train to the highest level BTEC course in Soft Tissue Therapy before starting working privately then joining Moose Hall Chiropractic & Wellness.